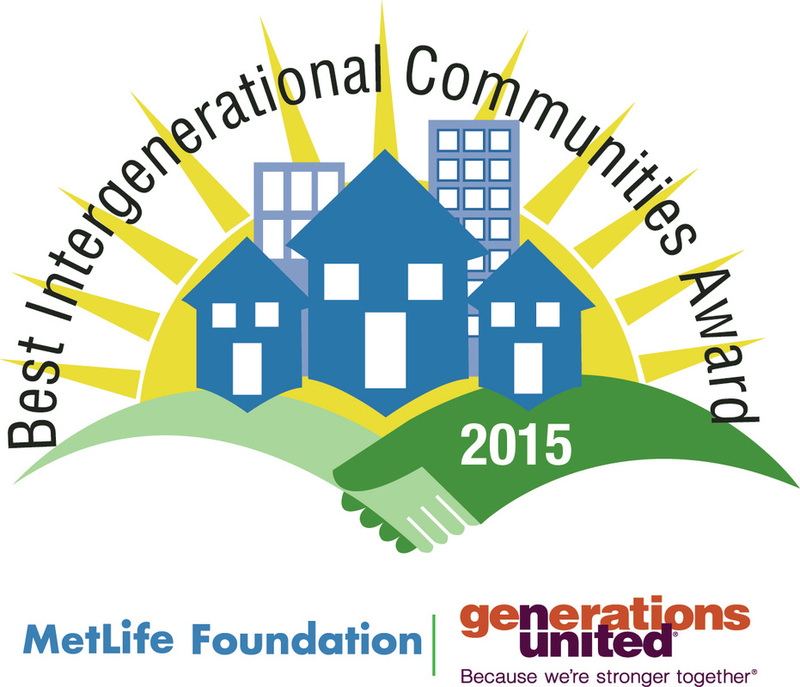 Active in Greater Richmond Age Wave planning efforts and leadership Committee since 2009. Richmond’s Office on Aging and Persons with Disabilities uses Plan to guide City’s programming and events. CATCH Healthy Habits completed successful 2014 summer and fall session at Peter Paul Development Center. City hosted Third Annual celebration of Richmond’s Centenarians during Active Aging Week in September, 2014. 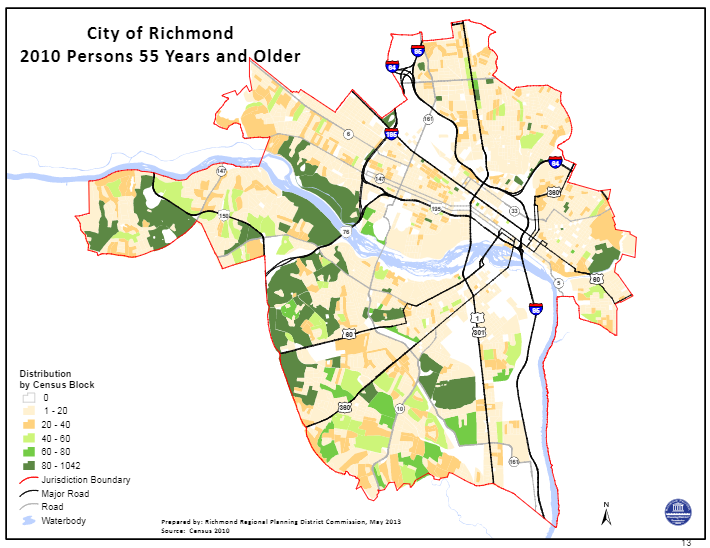 The value of living in Richmond City for older adults is the vast opportunities available to them which range from cultural, social, and volunteer opportunities to lifelong learning and employment. It is an area that is the right size that offers four continuing care communities along with a strong and active Area Agency on Aging. The Virginia Commonwealth University Department of Gerontology and the collaborative work with the Age Wave are both important assets to the older adult population. Significant challenges in Richmond include all aspects of transportation, including lack of knowledge of how to effectively use public transportation (GRTC), lack of affordable specialized transportation, and lack of transportation for shopping and nonmedical trips. For those who drive, the downtown area can be confusing to navigate. There are older neighborhoods that have issues of safety and those issues are impacting the housing markets and fiscal security of the older adults living in those neighborhoods. Additionally neighborhoods are also lacking in services and may be food deserts leaving some older adults in a state of isolation. Low income older adults may experience different barriers and challenges that have not been fully identified in the discourse. Richmond has multiple organizations that are working and collaborating to ensure the well-being of older adult and to combat the issues of isolation. Friendship Cafes, YMCA, Senior Navigator and TRIAD are important programs and partnerships offering services and resources to the community. Having the Senior Advocate in local government is helpful. Churches are an integral part of the network supporting older adults. Transportation remains the primary service that needs to be expanded upon in Richmond City. Additional opportunities to expand services include increasing affordable housing options and affordable options with adult day care centers. These services could be expanded and/or improved upon through the use of best practices. An emergency room that was designed with the geriatric population in mind and increasing the work force of gerontologically trained professionals were also identified as opportunities to expand services. Combating ageism and certifying age-friendly businesses are important issues to address.